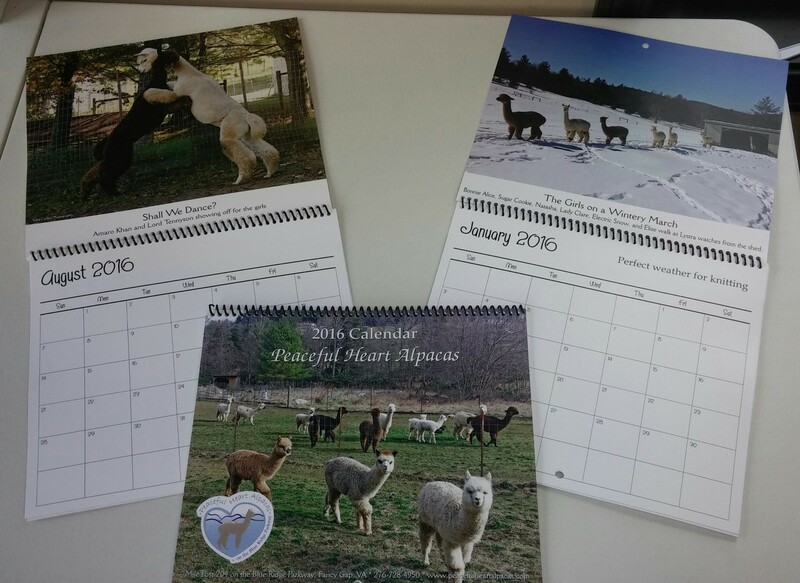 Our 2016 Alpaca Calendars are now available for sale in the store and online. They are full of pictures of the alpacas of Peaceful Heart Alpacas enjoying life in the Blue Ridge Mountains. Alpaca Calendars are the perfect gift for those who love alpacas. A gift they can enjoy throughout the year.